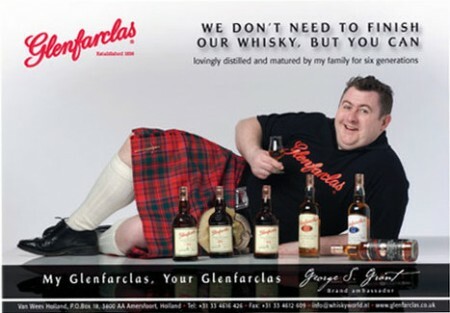 Glenfarclas, what I can tell you about Glenfarclas that you don’t know. Glenfarclas is a distillery located on the heart of the Speyside that has been run by the same family for six generations by now. Their whiskies don’t have pretty labels, their boxes are not cool, they don’t spend a gazillion pounds on marketing but they do an awesome malt whisky that is pocket friendly even today. I am a huge fan of the style Glenfarclas portraits. So when I saw all, and I mean ALL their core range on the Whisky Show I decided that I had to taste all of them ( again ). I am pretty sure that you would love to read about the 10 years old, the 12yo, the 15yo or even the 17yo… but I moved directly to the serious stuff. I remember tasting them when I began drinking whisky and I was astonished by the 25 years old… will it remain true to my memory after these years? A heavily sherried 21 year old from the Glenfarclas distillery. This offers loads of depth, a really thick dram and great value for money too. Nose (90): more than average. nuts, honey, citrus, spices, wood. Palate (91): powerful, oily. nuts, honey, citrus, spices, vanilla, sherry. Finish (90): longer than average. nuts, citrus. So based on other whiskies I have already tasted I rate this Glenfarclas 21 year with 90 points over 100. Distilled at the Glenfarclas distillery in the Speyside, this awesome 25 years old single malt whisky belongs to one of the last family owned distilleries in Scotland. An all-time classic, Glenfarclas 25 years old is the epitome of long-aged sherried Speyside, gorgeously smooth and silkily-textured, with rich, generous flavours of fruitcake, hazelnuts, dried fruit and a hint of dark chocolate and coffee. A thoroughly delightful dram. If you like sherried whiskies you are already late buying one! Nose (90): more than average. nuts, citrus, honey, spices, wood, cocoa. Palate (91): powerful, oily. nuts, spices, citrus, honey, wood, leather. Finish (91): longer than average. nuts, oloroso. So based on other whiskies I have already tasted I rate this Glenfarclas 25 year with 91 points over 100. A 30 years old Glenfarclas whisky from this wonderful family-owned Speyside distillery. Past winner of the International Spirits Challenge overall trophy. A prize not awarded without good reason, for this is a rich, complex and spicy malt whisky packed with sherry cask character. Nose (92): more than average. nuts, almonds, candies, spices, citrus, vanilla. Palate (92): powerful, oily. nuts, candies, spices, ginger, wood, honey, citrus, vanilla. Finish (92): longer than average. nuts, wood, spices. So based on other whiskies I have already tasted I rate this Glenfarclas 30 year with 92 points over 100. Glenfarclas� stunning new 40 year old whisky launched during the Spirit of Speyside Whisky Festival, and not only is it absolutely astonishing, it is also amazing value for money! It offers all of the sherried Glenfarclas character and exceptional maturity too, having been distilled in the 1960s. Nose (92): more than average. candies, spices, vanilla, nutmeg, honey, citrus, floral. Palate (93): powerful, oily. candies, spices, vanilla, wood, citrus, honey, wood. Finish (92): longer than average. candies, spices. So based on other whiskies I have already tasted I rate this Glenfarclas 40 year with 92 points over 100. Glenfarclas 1962 Family Casks Release X SPeyside single malt Scotch whisky. Single sherry hogshead #3247 bottled 2012. This dram has a old oak-like color. Nose (93): more than average. nuts, oloroso, wood, spices, candies, nutmeg, cinnamon. Palate (93): dry, powerful, oily. nuts, wood, powder, spices, wood, citrus, pepper. Finish (91): longer than average. wood, spices. So based on other whiskies I have already tasted I rate this Glenfarclas 1962 Family Casks Release X with 92 points over 100. I really love this distillery. So great whiskies and still affordable. You can get a 25 years old for barely £100 or treat yourself with their stunning 30 or 40 years old. Perhaps it is my palate that has evolved, I love the 25 years old but the 40 years old is stunning and awesome. Still… #bangforthebuck I would still buy the 25 years old.